Easter seems so late this year! There are a few events and activities, including pictures with the Easter Bunny at THREE different locations! If you are interested in any of the Easter Egg Hunts, check the link details for registration and any fees required. Always check the source link for any updates or changes to events! The bunny arrives at Kildonan Place on Saturday, April 6! Check KildonanPlace.com for more information and any updates! Everyone loves the Easter Bunny. Bring the whole family for a free 4×6 photo with the sweetest rabbit of all. The first 75 kids to come by from 5:30­ to 7:30pm, April 15–18, will receive a free gift. Don’t miss out on this fun and festive opportunity! Join us for Easter and participate in our GPS Egg Hunt! Visit Oak Hammock Marsh this long weekend and make a spring craft, try your hand at Bunny Bingo and participate in a GPS Egg Hunt. Kids can also participate in our annual traditional Easter Egg Hunt Sunday at 1 and 3 p.m. Find the plastic eggs throughout the exhibits in the Interpretive Centre and exchange them for a sweet treat. Green Kids Inc. presents Wild Wild Wilderness by Aileen Audette and Gwen Collins, featuring Spenser Payne. A story of one kid’s accidental effect on a nearby forest and its creatures, performed by a single storyteller and armfuls of adorable puppets. Wild Wild Wilderness demonstrates the connections between habitat, wildlife, and human activity, and empowers young people to make positive choices towards protecting our environment. Kismet Creek Farm is showing the 2018 film “Peter Rabbit” on Good Friday, April 19th. Gates will open at 1pm to visit with our rescue animals first and the movie will start about 2pm. The movie is free so just regular admission rates apply and we also have a cash concession with drinks, popcorn and candy. Seating is limited so please message us through our Facebook page to secure your spots. Oh No!! The Easter Bunny has hidden all the Easter Eggs and we need your help finding them! Admission is always free, and EVERYONE is welcome! Hop on down to your local Scholar’s Choice for our Easter Egg Hunt Saturday April 20th, 2019 from 10:00 – 4:00pm! We will also have Egg decorating & Easter Crafts for your children to participate in! The Easter Bunny will be hopping around the greenhouse giving out high-fives, hugs and treats! * Snap a pic and capture the sweet moment your little ones visit with the Easter Bunny! Come on down to John Forsyth Park to enjoy an Easter egg hunt!! All Children will have equal opportunity to collect eggs and have fun. More Info: Follow on the Facebook Event Page! Hop - Cineplex Family Favourites! 20apr11:00 am1:00 pmHop - Cineplex Family Favourites! Watch a family favourite film each week for only $2.99, Saturday mornings at 11am with Cineplex Family Favourites. A portion of the proceeds goes towards supporting WE Charity. It’s a fun and affordable way to enjoy the weekend with your family! 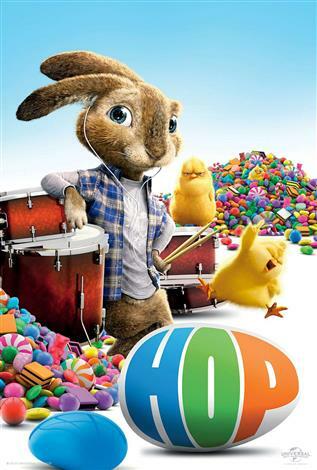 This week’s feature, just for Easter is Hop! Come celebrate Easter the Cabela’s way! Get crafty with the whole family at our free Easter craft station. Decorate a festive wreath (April 13 & 14) to hang on the front door or fridge or create a standing Easter bunny (April 20). Easter Bunny will be back again this year! Any businesses or groups who want in on this amazing event, as a way to say Thank You to your supporters, you are welcome to join us with a donation or to host a game. We are hosting a come and go family Easter event for all ages. Visit our rescue animals, try the Bunny Hop Obstacle Course, and hunt for painted rocks. Indoors we will have crafts, coloring and more. We recommend arriving by 3:30pm so you have time for all the activities. Advance registration is required, and prepayment is encouraged and appreciated. You can etransfer us at kismetcreekfarm@outlook.com, or arrange to pay in person here by April 14th. Check out the Calendar for details and more family events. Keep an eye on the Facebook page, we will share events and special deals as they come across our news feed! The CPR Holiday Train will be stopping in Winnipeg on December 3 at 9pm. The car door opens and the show starts! This year the train will be carrying Terri Clark, Sierra Noble and Kelly Prescott on it’s journey across Manitoba. There are four other stops in Manitoba, check the chart to see if one is near you! The event is free, all they ask is a food bank donation. For full details and route map, visit CPR.ca/HolidayTrain. Movies in a Park, on a Beach, Under the Stars 2018! Outdoor movies has been a growing trend over the past few years, last year we had 34 movies on our list! It’s a lot of fun to watch a movie under the stars. Here is your summer movie line up, pack your lawn chairs, bug spray and popcorn! Scroll to the bottom of the page for venue details. Check back often for updates. I am not sure if any party can compare to 2017’s year long bash! Last year’s Canada Day celebrations were bigger than usual because it was Canada’s 150th anniversary. But I don’t think you will be disappointed this year, unless you usually watch fireworks at Assiniboine Park. The Park announced they will be holding family events in the afternoon and there will not be any fireworks Canada Day evening. We usually watch a movie in our backyard and walk down the street to watch the display from the Park, so I am not sure what changes we need to make this year! But no need to worry! There are still many places you can enjoy Canada Day and watch fireworks! This list keeps getting bigger every year, this year I have included activites that take place on the long weekend at the bottom of this list. Another cancellation this year is the Canada Day Living Flag event. The Downtown Winnipeg BIZ has decided not to host the annual event. Come back and check often, and always confirm events with the official link. Also check the calendar page for other events leading up to Canada Day. Join us for an afternoon of family-friendly fun in celebration of Canada Day! Assiniboine Park will host the Canada Day celebrations at the Park on Sunday, July 1. Join us for an afternoon of family-friendly fun that includes entertainment at the Lyric Theatre, a citizenship ceremony, bouncy castles, food trucks, face painting and more! Festivities will take place from 12:00 pm to 5:00 PM at the Lyric Theatre. They are still finalizing our Canada Day plans. Please check back for updates! PLEASE NOTE: There will be no fireworks at Assiniboine Park on Canada Day. In the past, fireworks have been launched from the south east corner of the Park, which was the best location from a visitor safety and animal welfare perspective. This location is now an active construction site and the future home of Canada’s Diversity Gardens. Unfortunately there is no other safe location within the Park to launch fireworks from, so they will not be incorporated into the event this year. There’s a lot of great Canada Day family fun at the Manitoba Museum. Kids who wear RED & WHITE receive FREE admission! All information can be found at Parks Canada. As we head into the entertainment packed days of summer, the Osborne Village Biz is preparing to launch its annual Canada Day Celebration – Winnipeg’s largest and longest running street festival. Originally established to commemorate the nation’s birthday, the event has evolved into a celebration of the people, shops, and restaurants of one of the most unique communities in the city.T he Street Festival is just over one-kilometer-long located right on Winnipeg’s own Osborne Street in Osborne Village. On Canada Day, you will find a Family Zone open from 11:00 am to 8:00 pm. There will also be movies showing June 30 & July 1 at 8:15 pm. Sing and dance in the street at the Osborne Village Canada Day Street Celebration. No entry fee necessary, all are welcome. Check their Facebook event page for updates and more information. Bring the whole family for an exciting day of all things Canada. Special Birthday Cake will be served at 2 p.m. for our guests as we sing our national anthem. Horse-drawn wagon rides through the marsh with storyteller Allan Webb from 12:30 to 3:30 p.m. available for $3 for members and $6 for non-members. Participate in a guided canoe adventure ($3 for members and $6 for non-members) or rent your own canoe ($15 for 1 hour). Have the Canadian flag or your favourite marsh critter painted on your cheek during face painting. Celebrate Canada’s history with a guided bison hike, sod house pioneers, giant lawn games, and dipnetting or sweepnetting adventures! Explore our 7 km of trails and lakes by foot, bike or canoe (rentals available). The Royal Canadian Mint invites you to celebrate Canada Day on Sunday, July 1. Guests are invited to a fun-filled day of activities. Activities include: free Canada Day-themed hammer strike, children’s entertainment, free self-guided tours and food trucks. A limit of one free hammer strike per guest (while supplies last). It’s a celebration you don’t want to miss! Celebrate with the whole family! Come and celebrate Canada Day 2018 with music and activities for the whole family to enjoy. Admission to the Museum galleries is only $5 per person and includes admission to the new temporary exhibition Mandela: Struggle for Freedom. Come and celebrate Canada’s birthday alongside other West End residents in beautiful Central Park! Featuring live music and performances, face painting, balloon animals, reading tent and games. There will be plenty to do for the whole family! Visit westendbiz.ca/events/canada-day-in-central-park for updates and more information. Complete event details at www.theforks.com. Free event for all ages!! Watch the Facebook event page for updates! Celebrate Canada Day at the St. Norbert Farmers Market! The Market opens at 1pm , with family activities all day, ending with dusk with Archangel Fireworks. Don’t forget your swimsuit so you can play at the spray pad. Join the SCRA as we celebrate Canada Day in Parc Ron Duhamel Park on July 1st. Proud to present on our Live Stage: Big City All Star Band, which you will recognize as the band that performed at the Winnipeg Whiteout Street Parties! Don’t miss out on a fun-filled day celebrating Canada Day with your Sage Creek neighbours! For updates see their Facebook page! Join us for this year’s Canada Day celebration. We will be having a family fun day starting at 1pm and ending with FIREWORKS at 11pm. Inflatable jumpers – 1:00 PM to 5:00 PM at Bandstand. Join us on July 1st as we celebrate Canada Day! Join us back at the Centre from 9 – 11 pm for birthday cake and refreshments. Followed by fireworks at 11 pm. Join the City of Selkirk at their annual Canada Day celebrations at the Waterfront from 4:00 pm to 11:00 pm. We are still working on the full line-up for Canada Day… but this is what we have so far! The City of Steinbach teams up each year with the Mennonite Heritage Village to create a full day of family-friendly celebration activities for Canada’s birthday. MHV offers free admission and has activities and entertainment throughout the day. Families can then head to the Steinbach Soccer Park for evening activities including a music DJ and free cupcakes and Canada Day souvenirs. The day ends with a fireworks finale starting at 10:45 p.m.
Prime viewing locations for the fireworks will be in the Soccer Park, Southland Church parking lot, L.A. Barkman Park (Abe’s Hill) and along McKenzie Avenue and Bush Farm Road. Please note for safety reasons, the pathways between Bush Farm Road and the Soccer Park will be unavailable for public use from 8pm – midnight on July 1st. Event takes place June 29 to July 1. Pancake breakfast, parade, Wonder Shows Midway, fireworks and more! There are also family activities at the Lac Du Bonnet Museum on Canada Day from 10am – 4pm, visit their Facebook Event Page for more information. Please visit the Lac du Bonnet website for full details. Canada Day at the Sonova Centre starts with a pancake breakfast, ends with fireworks and is packed with entertainment all day long! You will find Prairie Exotics, a petting zoo, bouncers, magicians, clowns and more squeezed in between. Highlights of the new attractions include an inflatable 85-foot zip line, foam machines and mini golf. Join us once again for a evening of fun for the entire family. Pancake breakfast kicks off a day filled with family fun! Bring your entire family down to Vita for 2 days of fun, food and festivities for all! Come and celebrate Canada Day in a big way in Vita, MB! Not to be missed! Head down to the Harbour for some live music, on June 30th and join us on July 1st for more fun and fireworks. Fireworks at 10:45pm, activities all day. Some free or $5. Wristbands are $5.00 per person includes unlimited access to: Bouncers (6 of them), face painting/ tattoo artist, Dart-N-Round (nerf wars) and games in fields. These aren’t on Canada Day but are worth a mention for the holiday weekend! Make sure you look at the Calendar for much more! The St. James Village Biz is hosting fireworks on June 30, find out details here! Family fun day at the farm June 30! Click the link above for more details. Our Farms family fun day!! To help celebrate Canada’s birthday we’re putting up big bouncers for the kids plus games and other activities. We will also be serving hot dogs, snow cones, ice cream cones and cotton candy. Admission is free but bring some pocket change for snacks. Sadly I have to announce another Canada Day tradition has been cancelled, the Downtown Winnipeg BIZ has decided not to host the annual Canada Day Living Flag event on July 1st. What are you planning for Canada Day? Is there an event I missed? Let me know and I will add it! Movies in a Park, on a Beach, Under the Stars 2017!